SANDYS, George. 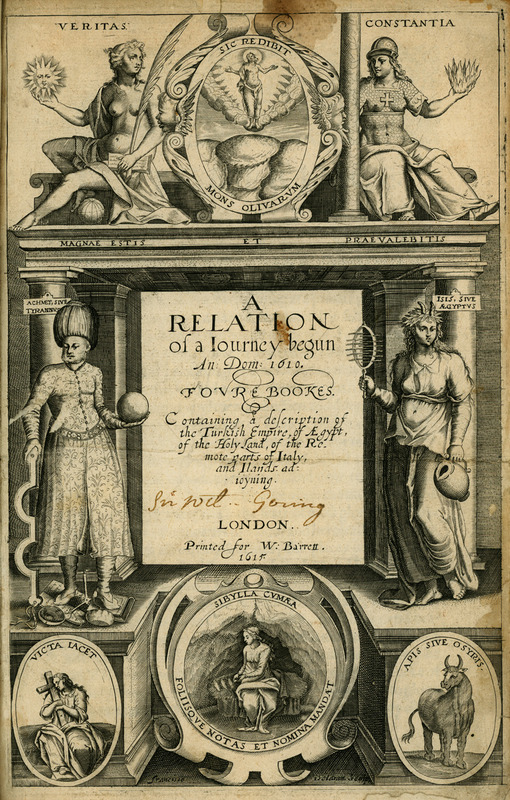 Relation of a Iourney begun An: Dom: 1610. Foure Bookes. Containing a description of the Turkish Empire, of Aegypt, of the Holy Land, of the Remote parts of Italy, and Ilands adioyning, London, W. Barrett, 1615. SANDYS, George. Relation of a Journey begun An: Dom: 1610. Foure Bookes. Containing a Description of the Turkish Empire, of Aegypt, of the Holy Land…, London, W. Barrett, 1615.